Paul O'Callaghan joined Clerksroom in 2013 having previously practised as a solicitor-advocate with a national firm of solicitors. Paul is now ten years Call (where do the years go!) and he is a specialist employment and personal injury lawyer. Paul's PI practice is focused on road traffic accidents and holiday sickness claims. Paul regularly appears at tribunals nationwide but he prides himself on a conciliatory approach to employment disputes and he is pleased to say that the vast majority of cases that he deals with settle amicably without the need for a hearing which ultimately saves the parties time and costs. Paul's employment work is generally split at 75% Claimant and 25% Respondent. Paul offers advice in writing and by telephone as well as assistance with disciplinary and grievance procedures, document drafting and advocacy at interim and final hearings. 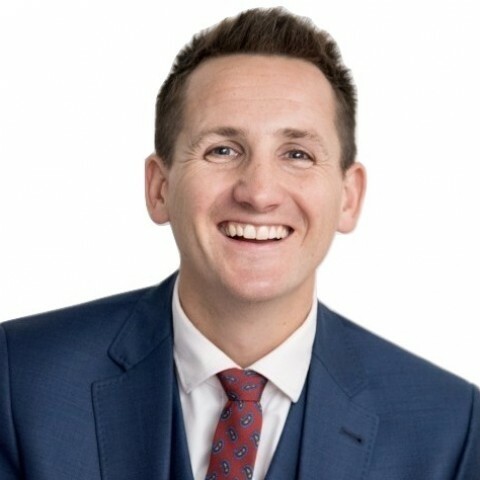 Paul maintains a busy civil litigation practice which includes acting in property, contract and business disputes although the majority of his work is PI and specifically RTA and Holiday Sickness claims. Trials including liability, causation and LVI / alleged fraud. You will find Paul to be an experienced and tenacious advocate and when not in Court you may find him 'relaxing' by entering endurance running events. As such he is always willing to go the extra mile! (Marathon PB 2hr 59 minutes). Paul is flexible and approachable and always willing to have an informal discussion about your case or query at any stage in proceedings. Paul is willing to accept instructions from the public on a direct access basis and he has been granted full litigation privileges. Paul has received excellent feedback from both lay and professional clients and he always welcomes feedback so that he can continue to improve upon the service that he provides. Paul is based in Cardiff but he can attend Court anywhere within England and Wales. Paul was proud to represent Team GB at the Sydney Olympics in 2000 and after a long hiatus he has recently returned to his sport of target shooting. Paul is also a qualified pilot and happy to advise on aviation law matters. Public Access Accredited Group (also authorised to conduct litigation under Public Access rules). Paul is a member of the Association of Personal Injury Lawyers (APIL) and the Employment Lawyers Association (ELA). "...please pass on my thanks to the barrister [Paul O'Callaghan], he was brilliant. I am absolutely thrilled...Paul [O'Callaghan] was brilliant. Thank you [Paul O'Callaghan] for the wonderful representation on the Court date and for great support. Can I just say how impressed I was with this advice provided by Paul O'Callaghan on this difficult case of mine...this was a massive help to me. Brilliant result, thanks [Paul O'Callaghan] once again! Thank you [Paul O'Callaghan] for your comprehensive attendance note. Excellent result. Our Client is very pleased with the outcome. Considering the pending passenger injury claim and credit hire in the background, this result has saved our Client approximately £28k in total. I look forward to instructing you in future cases." Outside of these key areas of law, Paul O'Callaghan (2008) is always willing to consider any enquiry requiring the experience or knowledge needed to help you or your client. Please call Paul direct or the support team on 01823 247 247 if you would like to discuss any aspect of this profile.